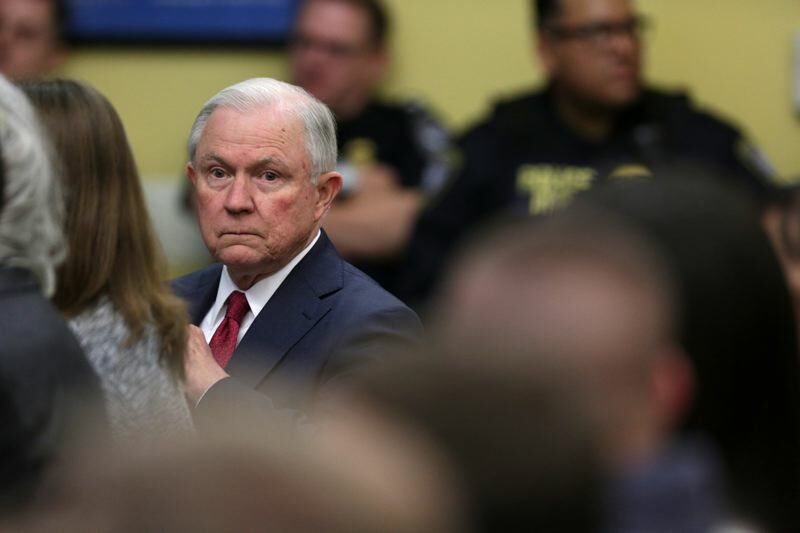 A handful of local rallies will dot the Portland area Thursday, protesting President Trump's dismissal of Attorney General Jeff Sessions and his possible threat to the investigation by Special Counsel Robert Mueller. Rallies are planned in Portland, Lake Oswego, Beaverton, Hillsboro, St. Helens, Sandy, Sherwood and Yamhill County. Rallies are being planned by groups connected with the Nobody is Above the Law national group. They have been in the works for weeks as the organization watched and waited as President Trump threatened several times to fire Sessions and install a new attorney general who would bottle up Mueller's investigation into obstruction of justice in connection with foreign interference in the 2016 presidential election. On Wednesday, Nov. 7, the president asked Sessions to resign, and replaced him with Acting Attorney General Matt Whitaker, who will oversee Mueller's investigation. • The north end of Tom McCall Waterfront Park. Nearly 3,850 people are expected to attend. • The courtyard at U.S. Sen. Ron Wyden's Portland office on Northeast 11th Avenue. About 2,000 people are expected to attend. • Millennium Plaza Park (200 First St., Lake Oswego. More than 500 people have indicated they will attend. • Beaverton City Library, 12375 S.W. Fifth St. About 500 people are expected to attend. • Corner of Southwest Edy Road and Highway 99W in Sherwood. About 200 people are expected to attend. • At the intersection of Northwest Cornell Road and Murray Boulvard, Beaverton. About 200 people are expected to attend. • In the public square at Sandy Transit Mall, Sandy. About 50 people are expected to attend. • At Hillsboro Civic Center Plaza on East Main Street. About 300 people are expected to attend. • At the corner of Highway 30 and Columbia Boulevard in St. Helens. About 25 people are expected. • At the corner of Third and Baker streets in McMinnville. About 160 people are expected.